My recent trip to Paris had me thinking: Some guides to Paris remain eternal while others are in need of updates and edits. Instead of trying to re-write the book on where to go and what to see, use these tips and their forthcoming updates as a resource for your next visit. We’ll keep everything linked, so you won’t have to search high and low to find what you need on our site or even in Paris. For now, I’m keeping this edition to vintage clothing shops and a delightful, delicious crêperie tucked in the Marais. Two suggestions are in South Pigalle (SoPi) and two are in the Marais. And one is a cultural suggestion near the Marais. Without further ado, amusez-vous bien! I’m slightly reluctant to post about this tiny gem in South Pigalle (SoPi) since it’s not on a main street, and it’s filled to the brim with tons of recent secondhand stock from the likes of Louis Vuitton, Hermès, and Chloé. I did a google search, and for some reason, hardly anyone has written about this place in the English-speaking world, whereas the French extol its virtues. Troc En Stock is also celebrating its 20th anniversary this year, too, which is a testament to its goods. One of the very Parisienne shop assistants with a low voice from smoking way too many cigarettes—she was lovely, let me make it clear—assured me that their suppliers are legitimate, and what they have is the real deal. 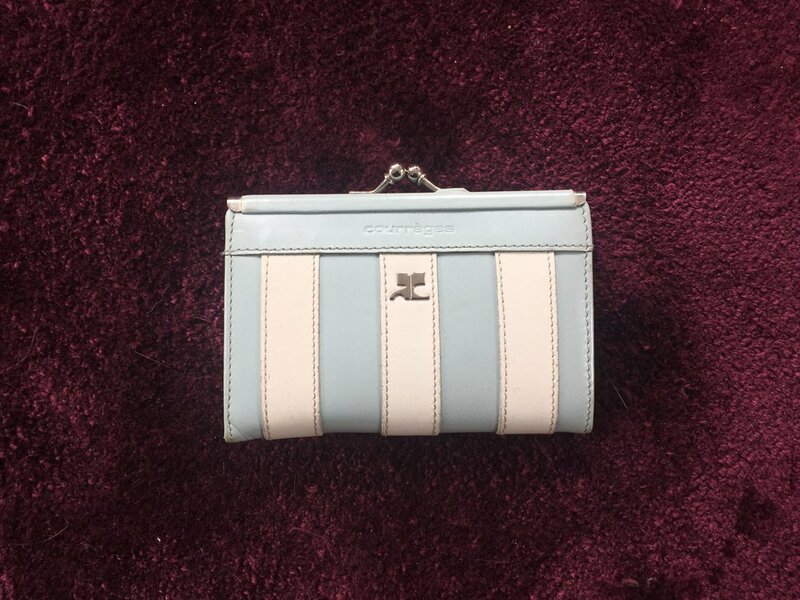 The first time I visited the shop, I scored a Courrèges coin purse and a Louis Vuitton heart necklace which was at least half its asking price on eBay. Needless to say, I’ll be back again. While some might find Troc En Stock chaotic, down the street is Celia Darling—that boutique with the charm and swagger of your best-dressed friend who appreciates all types of vintage from old designer labels to one-of-a-kind pieces. During my last visit, there were bags in good shape from Gucci and Dior with Ungaro and YSL blouses on the racks and hanging on the walls. Near the window, there was an old suitcase of discounted items for 15 Euros or less. This well-curated shop with distinctive interior style could be easily overlooked if you weren’t seeking it: The black shop front makes it nondescript, but if you’re on Rue Henry Monnier (one of the main drags in SoPi), you’ll likely be drawn to it anyway. Over the last ten years, I have been a regular at one of the three stores in the Marais. I can’t really speak that much about the main stock on the racks. But what I can write about is the dirt cheap one-Euro bins at each location. Heaven. Not so ideal? The constant digging and more digging. And the crowds tend to hover around these bins. With a little patience, you will uncover something(s). Who can argue with walking away with a one-Euro dress from Paris that no one else has? Exactement, mes amies. If digging through the bins at Free’P’Star gets you hungry, head right over (less than a ten-minute walk) to this fresh crêperie with almost every version imaginable. The lines might be long, but I’m telling you now, they are worth your time. Sweet or savory? Try both, hoh hoh hoh.